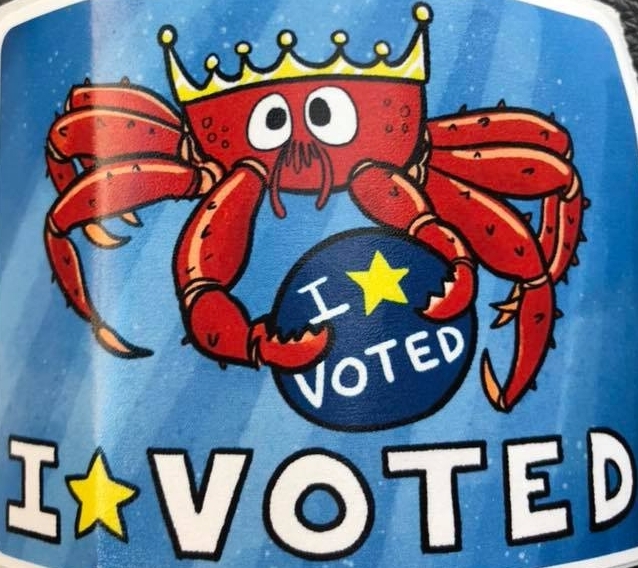 Meet Govenor Candidate Mike Dunleavy this Saturday. Jim Sackett is speaking at the Republic Women of Fairbanks weekly luncheon tomorrow, Oct 12. 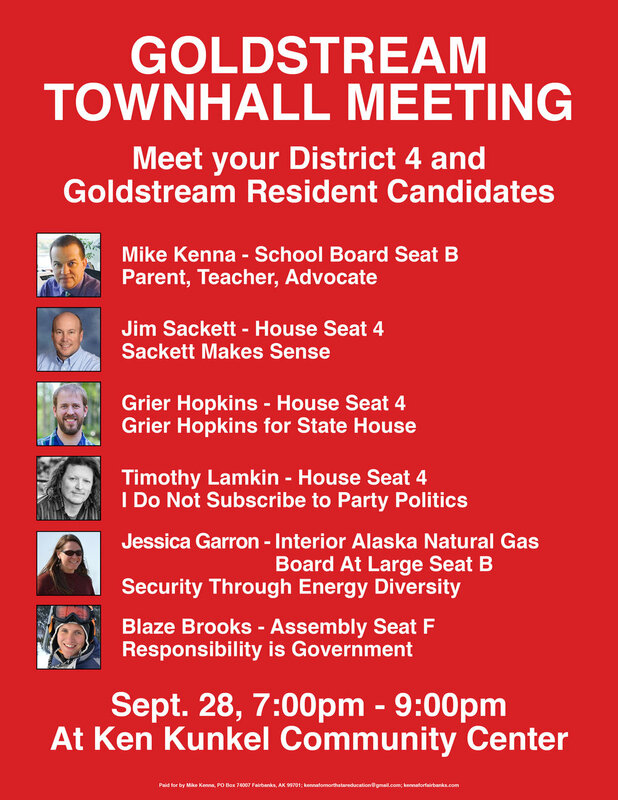 Greater Fairbanks Chamber of Commerce is hosting a Political Forum. 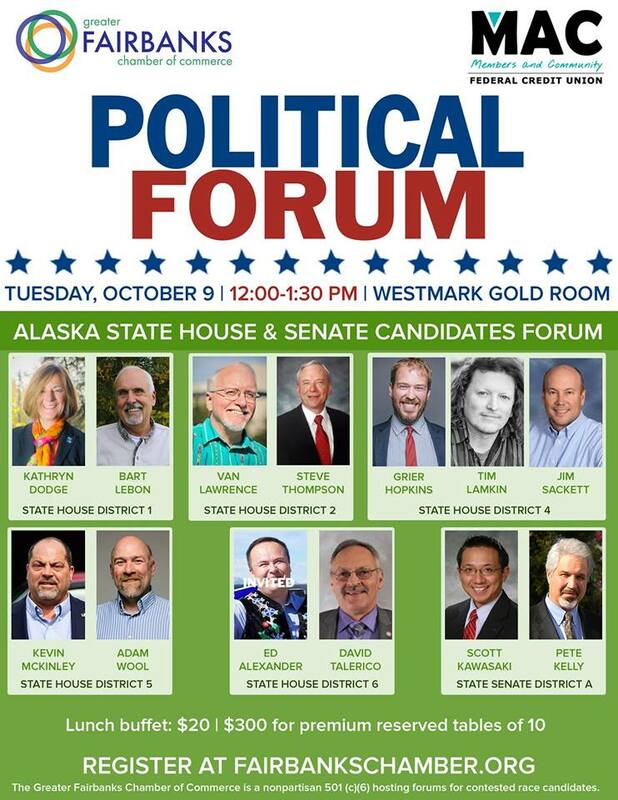 Come learn more about the State House and Senate candidates. Please click on the link to see the article.